Yesterday afternoon I gave Citibank a call to see if there were any worthwhile retention offers available for my American Airlines Platinum Select American Express credit card. Since I currently have a bunch of American Airlines cards, I was leaning toward closing this one unless an offer (while highly unlikely) seemed like one that I couldn’t refuse. I dialed up the phone number on the back of my card and explained my situation to a rep. Within a moment I was told that my call would have to be transferred. I then spoke to the second rep. She too had to transfer me to another department. This turned out to be a really long call for such a simple thing I was looking to do. I waited 9 minutes until I spoke to the third and final Citi AA phone rep. When I mentioned that I was looking to close my card, I was immediately asked why and she said something like, “is it because of the fee”. The only difference with the $95 statement credit this time around was that I’d have to spend $95 to get the credit to kick in. For the next 16 billing cycles, I was offered the chance to earn a bonus of 1,000 bonus AAdvantage miles for spending $1,000 or more during each cycle. This was pretty much the same offer I received last year! However, this time I wasn’t interested. 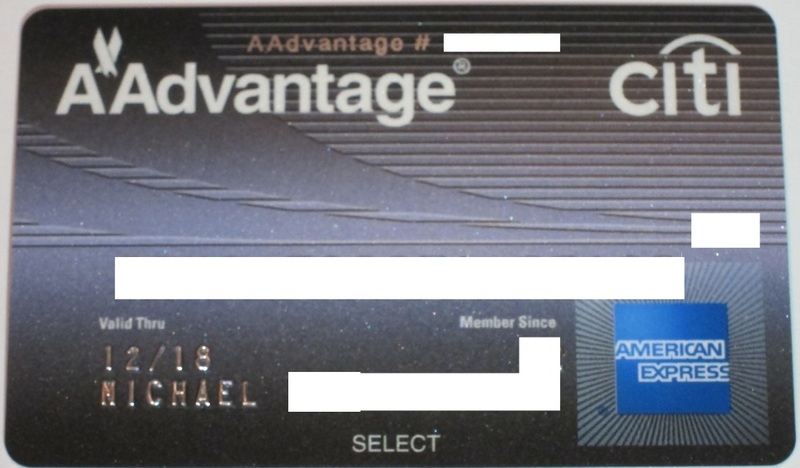 I currently have 3 Citi Executive cards along with a Citi AAdvantage Select which I got last month. I have no real need to keep my Citi AA Amex card open since I want to thin out my open credit cards in anticipation of applying for new cards in 2015. What would you do? Keep the card open since the fee was waived or cancel? If the card is churnable, then I would have closed it as well. I received exactly the same offer for my Citi AA Visa. I was actually planning to close this card since they already waived the annual fee the year before, but ended up keeping the account open with this offer. Keep it for the 10 percent award rebate. The exec cards don’t have that. Also, why do you have three exec cards. I got three last year, but only kept two. Seems like you paid 900 in fees unnecessarily. AA Amex doesn’t get the 10% discount – only MC and Visa versions do. I’d have cancelled or done product change to a Double Cash card like I did with my AA Amex. Alon- The only leverage I see this card giving me is another Amex Small Business Saturday credit and not much else. Joey- Right and it’s better to thin out the card stack when consistently getting new cards. Papa Smurf- I did that last year with this one. Scott- I got a Citi Platinum Select Mastercard in November which has the 10% rebate. I’m not sure what you mean about the Exec cards. I got three last year. After completing the spend on one I applied for another etc. When the fees come up again each will be closed. Paul- Unless there is a great offer, I’m trying to decrease the amount of cards I have open in anticipation of applying for more in the future. Hua- Did you get this retention offer on each of your Citi cards? I assume those are the free 3K miles per month you are referring to. The Exec cards were awesome offers but still not free. The current 50K AA offers with first year waived is a very solid offer IMO. On the Exec cards, it was possible to meet the spend on the first statement, receive the miles and 200 statement credit, cancel the card immediately and avoid the fee altogether. It was an incredible deal. Right. I did not reach the spend on any of the 3 cards within the first month and did have to pay the fees less the $200 statement credit.